Another reason to make wine from kits is that it only takes about 30 minutes to put a wine in the fermenter. A kit contains juice that, once diluted to working strength, is ready to be fermented. All the additives and processing aids are measured out in sachets and ready to go. 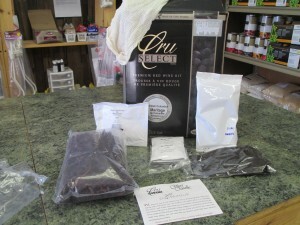 Making a kit really only involves some mixing and stirring and it will be fermenting the next day. Making wine from grapes takes several hours and involves much more (and more expensive) equipment. 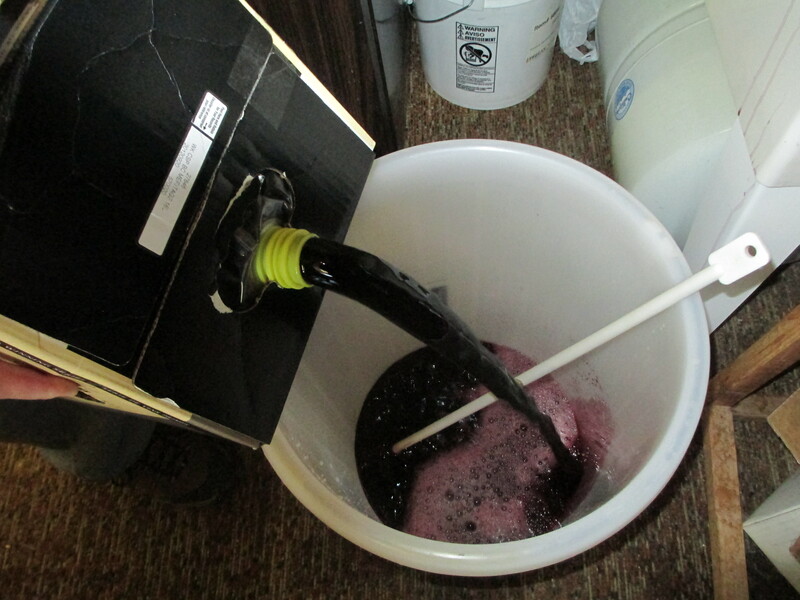 Once you start making wine, you’ll love the smell from your fermenter. This can be a starting point to winemaking, and you can decide later if you want to make the move to making wine from juice or grapes. The heart of a modern wine kit is a bag of slightly concentrated grape juice. The juice is balanced so that the sugar and acids are in the right range and the yeast has sufficient nutrients for a healthy fermentation. Finally, the technology for making wine kits has improved since the ‘80s when do-it-yourself wines from canned concentrate first became popular. Today, the higher end kits produce wine that really does stand up to commercial wines costing $10 to $20. 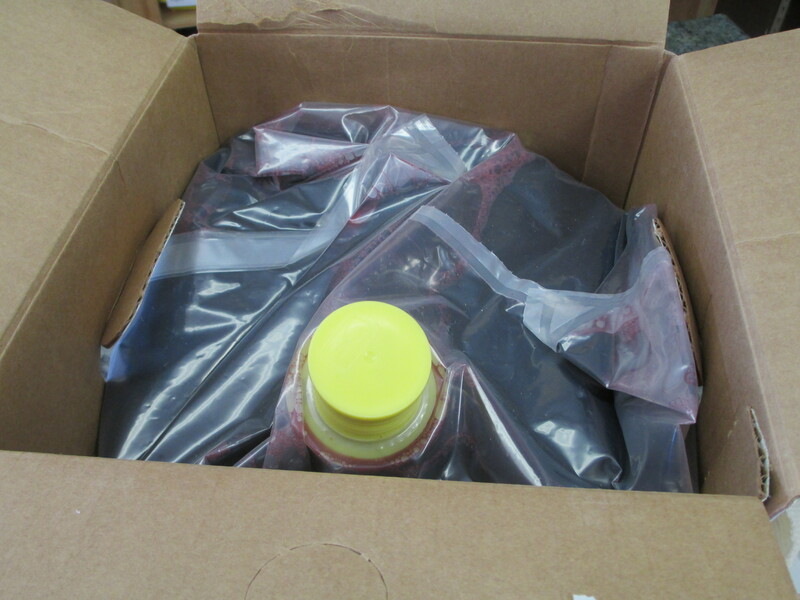 Much of the reason is that modern, high-end wine kits contain juice that has only been slightly concentrated, avoiding the cooked jam flavors from old school wine concentrates. With the knowledge of the time it takes to make wine from kits (4-8 weeks), which wines should you make during which time of the year? This is truly up to you the home winemaker and the climate you live in. Personally, I’ve found that I really enjoy a cold white wine in the summer time, so I’m more apt to make white wines in the late spring and early summer for those evenings when a cold wine satisfies the thirst after a glass of water for rehydration purposes. Aging time on white wines is not as long either. I enjoy full bodied red wines, so I’m more inclined to make those the other time of the year to enjoy during times of cooler weather. Considering the people of Argentina enjoy their fullest bodied wine on Dec. 25th during the heat of their summer, the best wine for you to make really is the one which fits your budget and your taste. Cheers! Once your equipment is clean and sanitized, making a kit involves pouring the juice in a fermenter, diluting it to working strength and adding yeast (and perhaps an additive — such as oak power — or two). Author Rich Weaver owns and operates Dr. Fermento’s Beer and Winemaking Supplies in Casper, Wyoming, which opened its doors on April 1, 2009 (no foolin’). Rich is a homebrewer and a winemaker that has been making kit wines for the last 4 years. He has a BA in Chemistry from Augustana College. Go Vikings! I do enjoy wines and look forward to making some in the near future. Maybe I’ll find one my wife will enjoy, too. Do you have a particular brand or specific kit you recommend? My wife prefers semi-sweet whites. While I prefer fuller-bodied reds, I do enjoy the whites as well. If the medals handed out at wine competitions are any indication, no single wine kit manufacturer has a monopoly on quality wine kits. Many of the newer kits not only give the type of wine the kit makes, but where the grapes are from. If your wife likes semi-sweet whites, I’d say look for a German Riesling or Gewürztraminer. (Then again, those are my favorite whites.) If you like full-bodied reds, try one of the newer type kits that include grape skins in them that you macerate. California Cab kits would be a logical place to start. Thanks, Chris. I will be visiting my LHBS to pick up some wine kits. For the rhubarb wine, I was speaking with the owner of my local shop and he recommended some citric acid to help preserve the some of the pink color from the fruit. The fermentation seems to be going pretty well. After a week, there is still a lot of sweetness, but I liked the flavor. We’ll see what it tastes like when the fermentation finishes. I already brew beer and now I want to make wine! Great Article! I could be biased though. Time to enjoy more homemade wine! Cheers! It takes a great man to appreciate the value of his own work. 🙂 Cheers! The article did turn out well. Thanks for submitting it, Rich. My wife and I got our first prescription from Rich at Dr. Fermento’s a few years ago we haven’t been the same since. Excellent post! Thanks for sharing your experience with us, Hopefully many wine lovers can find best advice on wine kits from your article.